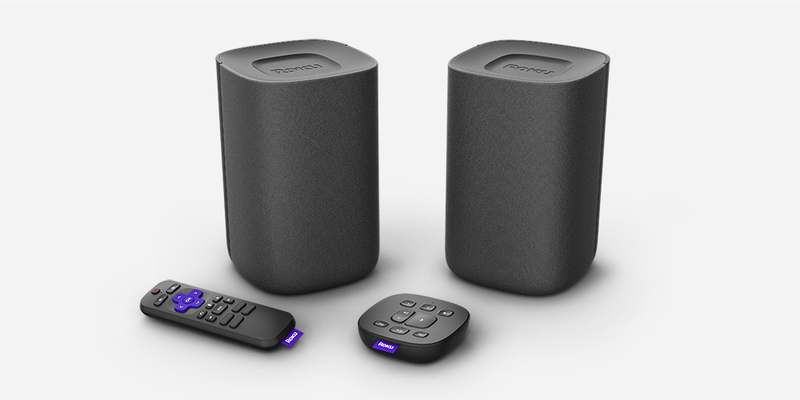 Roku today announced the Roku TV Wireless Speakers, which are meticulously engineered and calibrated to deliver powerful, premium audio to Roku TVs. The speakers will also ship with the all-new Roku Touch tabletop remote that features a press-and-hold design for voice commands, playback control buttons and programmable preset buttons. Roku is a pioneer in streaming media and the Roku TV Wireless Speakers and Touch remote raise the bar for TV audio products by delivering great hardware paired with a simple setup and user experience at an affordable price. The industrial design is a low-key, elegant expression of Roku's brand and yet another significant milestone in a ten year creative partnership with the Bould Design studio.